When I first got my hands on Green & Black’s second chocolate book Ultimate, there was one recipe in particular that leapt out of the page at me. It called to me, oh so seductively and it came to the inevitable point that I could resist no longer. When Nazima of Franglais Kitchen, who is hosting this month’s We Should Cocoa, decided bread was to be this month’s theme, I was reminded that I had never actually got around to posting about Arianna’s amazing chocolate cinnamon rolls. Arianna was taught to make these rolls by her Norwegian mother. She is a pastry chef now baking cakes at her own bakery in London: Bittersweet Bakers. I’m sure my rolls look paltry in comparison, but my goodness, they were good to eat. The more things I try and juggle, the more my poor brain loses capacity and I can no longer remember if I followed this recipe exactly or not. Suffice it to say that there was a lot of sugar, cinnamon and 70% chocolate involved. Unusually, fragrant vanilla seeds were scraped into the yeasted dough which itself was enriched with egg, butter and milk. In addition to the sugary cinnamon and chocolate filling, the rolls were also cooked in a decadent cinnamon sauce. I made 20 rolls rather than the 16 specified and they were plenty big enough. I don’t feel comfortable just copying the recipe when I am unable to put my own spin on things, so you will have to go directly to the book. I’ve checked the G&B website for an online recipe, but had no success in finding one. You should be able to borrow a copy of the book from your local library if you don’t have one of your own. I do try and write up what I have done soon after doing it to avoid memory loss, but sometimes I don’t quite manage it. What I do remember, however, is just how good those rolls tasted. These would make for a very special breakfast and would also be suitable for Breakfast Club, the theme of which is chocolate this month. I’m submitting this to Bookmarked Recipes with Jac of Tinned Tomatoes as it had been bookmarked for quite a long time before I ever got around to making it. I’m also entering this into Calendar Cakes as the theme is Bread, Rolls and Buns this month. CC is hosted alternately by Laura Loves Cakes and Dolly Bakes. Thanks Manu – hope you have a good weekend too. I love your recipes for the specific reason that you always put your own spin on a recipe which is something i love to do myself. I am dying to make cinnamon rolls and your version with the added chocolate has made me realise I must get baking them. Your dough looks amazingly light and fluffy. Just perfect! Thank you Laura, you always say the nicest things. The dark chocolate 150g of it was chopped small and scattered over the dough before rolling. LOVE cinnamon rolls and have tried a chocolate version before so that was one of the things I first thought of for WSC this month, but not sure they would look as good as yours! Oh but aren’t they fantastic Nat? I bet yours looked every bit as good as mine. Next time I was thinking I might try a cardamom version. It was on my list for an awfully long time Susie – get on and make it, I doubt you’ll regret. Wow! They look amazing. I really miss cinnamon rolls and the little bit of chocolate sounds delicious. Oh YUM! These chocolate rolls look so good! Love to have some NOW! Ooh yum, I love cinnamon rolls. Now the weather’s a bit colder it’s definitely time to start some hearty breakfast baking! These look delicious! Might have to put the book on my Christmas list. I can imagine they tasted wonderful! They look truly delicious and indulgent. 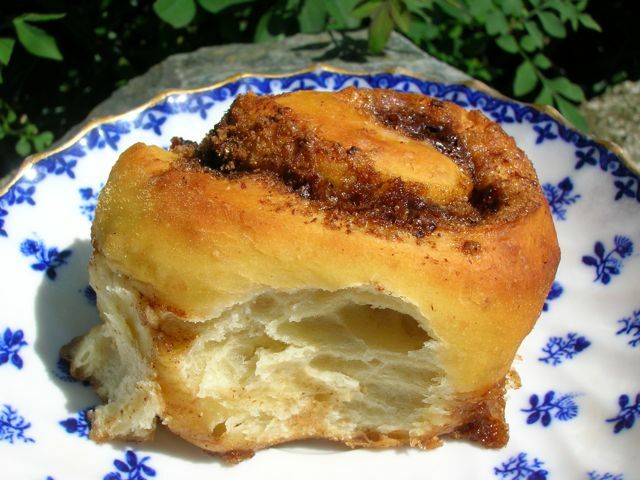 Wow – I love cinnamon rolls and am tres excited at the thought of adding chocolate to them! Oh my goodness, those look very delicious. I would like one, or maybe two right now with my cup of tea. Absolutely love cinnamon rolls, they remind of America which makes me happy 🙂 bet they are even better with chocolate too. I’ve only ever seen chocolate ones without the cinnamon! Yum yum. I love these chocolate cinnamon rolls – yum! A really lovely recipe – I have the G and B cookbook so need to dig it out! thanks for letting me host WSC last month – I am going to finally do roundup tonight! Chocolate, cinnamon and bread – what’s not to like! they sound delish!